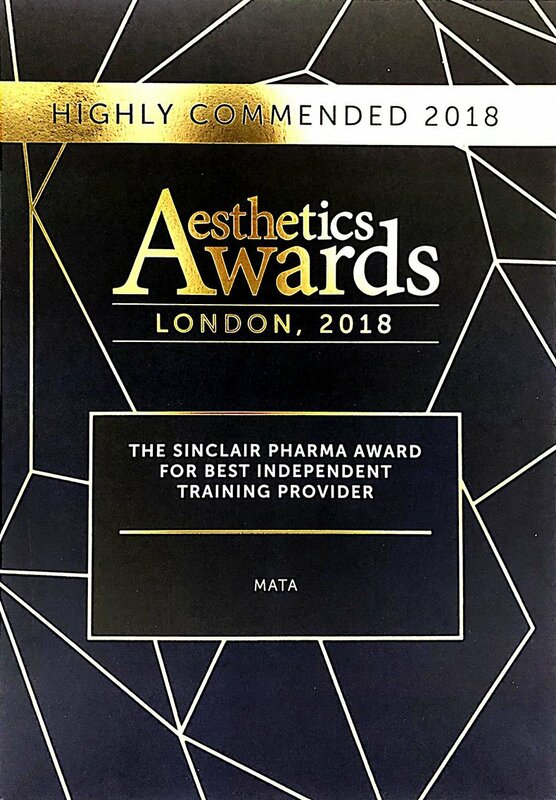 MATA are honoured to have been awarded a Highly Commended recognition in the ‘Best Training Provider’ category at this year’s Aesthetics Awards. The category was extremely competitive this year and we are especially proud to have achieved this recognition in 2017. 2017 has seen a large amount of growth for MATA, we have taken on new team members, new trainers, increased course dates and expanded our offering of courses and qualifications. Including introducing our joint initiative with DHAT – the Level 7 qualification in Applied Clinical Facial Anatomy for Cosmetic Interventions. This qualification also achieved Commended status for this year’s ‘Professional Initiative of the Year’ at the Aesthetics Awards, meaning MATA achieved recognition in all categories we were shortlisted for. We would also like to extend a huge congratulations to our Head of Academia and MATA trainer Elizabeth Raymond Brown who was the well-deserved winner of The Schuco Award for Outstanding Achievement in Medical Aesthetics. 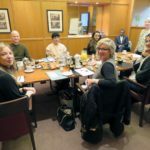 With MATA winning ‘Training Academy of the Year’ at the London Hair and Beauty Awards and ‘Best Aesthetic Training & Education Award’ at the Safety in Beauty Diamond Awards earlier this year, MATA are excited to embark into 2018 with our accolades continuing our mission of providing outstanding training in the medical aesthetics industry. The award-winning anatomy and complications courses by Dalvi Humzah Aesthetic Training is set to be offered as a Level 7 qualification. Working in collaboration with the Medical and Aesthetic Training Academy (MATA), Dalvi Humzah Aesthetic Training will offer Level 7 awards in Anatomy and Complications, with the option of getting a Level 7 qualification if both awards are taken. Delegates who have previously attended the courses will also have the opportunity to convert their previous training into a qualification. MATA Level 5 Qualification in Laser Tattoo Removal Training Success! 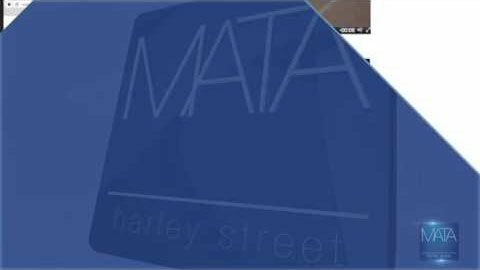 Last week saw MATA hold its Level 5 (foundation degree level) qualification in Laser Tattoo Removal in Harley Street, London with delegates from across the UK in attendance. 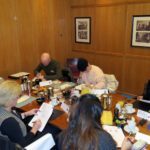 Having already completed a major part of the theory component online in the MATA virtual learning environment prior to attending, delegates refreshed their knowledge during a presentation and undertook quizzes at the Royal Society of Medicine before carrying out practical training on live models provided in our Harley Street training rooms. Next training dates for Level 5 Laser Tattoo Removal will be in May 2017 and are open to allied health care professionals, those with Beauty NVQ 3 or similar and tattooists. Our access course is soon to be launched to enable those of other career backgrounds to undertake this qualification. MATA are thrilled to announce we are launching a brand new suite of Level 5 Laser and Light Based Therapy qualifications and Level 7 Postgraduate Certificate in the Principles and Practice of Clinical Injectable Therapies (Botulinum Toxin and Dermal Fillers) this month! Based on the recommendations in the HEE report, our exciting new aesthetics qualifications are awarded by EduQual and also endorsed by an Ofqual-recognised awarding organisation. MATA training is comprised of blended-learning including theory modules studied on our university-standard online virtual learning environment (VLE), practical training on many volunteer patients provided for maximum hands-on experience, clinical assessments, completion of a log book of treatments plus written examinations. The suit of MATA qualifications cover Botulinum and Toxin, Dermal Fillers at level 7, Laser Tattoo Removal, Laser Hair Reduction, Laser Pigmentation Reduction, Laser Vascular Reduction and more at level 5. As the aesthetics and cosmetic surgery industry continues to boom, over recent years there has been concern that there is not enough regulation in this field, particularly when it comes to injectable treatments such as Botox and Dermal Fillers due to the complications that can arise. A need for improved education and training in this sector as highlighted by the Keogh report is the reason that MATA founder, Mr. Faz Zavahir launched the aesthetics training academy, particularly as he found that he had to travel worldwide to get the ‘hands-on’ training required when he was learning these skills. If you are interested in pursuing a qualification in either laser or injectable therapies, please email info@matacourses.com or call us on 0203 126 4870 for more information on how to apply. MATA Wins Highly Commended Award for Best Training Academy at Safety in Beauty Awards! The MATA team were thrilled to receive the Highly Commended award in the Training/Educational Development category at the Safety in Beauty Diamond Awards 2016! The London White Party hosted by The Safety in Beauty Campaign was held last Saturday at the stunning Grand Connaught Rooms in Covent Garden, and hosted by the campaign’s founder, Antonia Mariconda. With Brazilian Samba dancers, a photo booth and champagne on arrival, the event was a great night that paid tribute to those in the industry who have shown they value patient safety above all else. 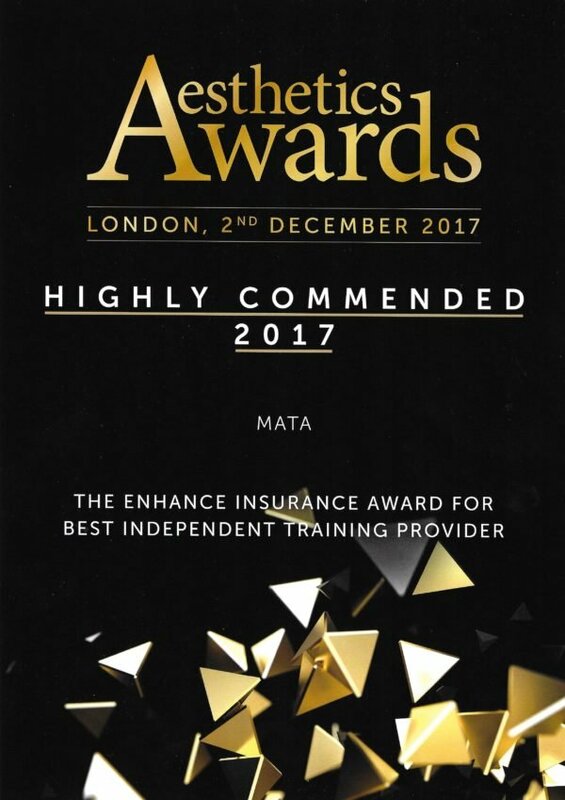 MATA was launched to improve standards of training in the aesthetics industry, with safety being our priority, so this recognition is fantastic! See you at the awards next year! Trust – a word that makes us all sit up and listen. And in medicine, trust is fundamental for patient confidence in their doctor. So whether it’s an aesthetic procedure or urgent life-saving treatment – every patient needs the reassurance that they are being treated by a suitably qualified healthcare professional. It’s no secret that the non-surgical cosmetic interventions industry has been booming for some years now and in a recent study by Health and Education for England (HEE), 2015 was expected to see the industry valued at more than £3 billion. And as demand increases for non-surgical procedures such as botulinum toxin injections and laser tattoo removal – so too does the need for qualified practitioners. A large number of non-surgical cosmetic interventions are performed by allied medical professionals, such as nurses and pharmacists, and a significant number are also provided by beauticians. Following completion of training in an appropriate specialty senior doctors may choose to pursue cosmetic surgery as part of their practice, but increasingly we are seeing more doctors performing non-surgical cosmetic interventions. Why is this? There is certainly the demand for practitioners with established medical training and the ability to prescribe prescription only medication, such as botulinum toxin injections. They are also commercially attractive to established cosmetic businesses. Some doctors may wish to top up NHS salaries and take advantage of the flexible working that the non-invasive industry offers. The Government have quite rightly recognised that our industry is rapidly evolving and requires regulation. As a result of the ‘Keogh Review’ of the regulation of cosmetic interventions, Health Education England have formulated requirements for training to ensure safety and quality for patients. Professor Sir Bruce Keogh highlighted the “profound impact on health and wellbeing” that cosmetic interventions can have. The new regulations promise a robust and unified set of standards for training that ALL practitioners must meet. Prior experience and qualifications are recognised, but even qualified doctors, dentists, and nurses will need to demonstrate that they have been trained to the required standard. At MATA, we believe in putting this into practice and welcome the new regulations. We are proud of our reputation and want to protect that of the industry. Training future cosmetic practitioners from a variety of backgrounds to maintain standards must be a priority for successful businesses in this industry. Promoting delivery of world class care is our way forward. With the new regulations and training from MATA courses, trust in the industry has never looked brighter. Earlier this month Health Education England published two reports aimed at improving training in the aesthetics industry for treatments such as Botox, dermal fillers, chemical peels and laser hair removal. Th reports set out ‘qualification requirements’ for those practitioners that carry out these treatments regardless of any previous training they might have had or their career background. This has been recommended after much discussion with key industry figures to ensure practitioners carry out the treatments safely and ensure patient safety is paramount. The Department of Health will be pushing this forward. HEE is responding to the lack of legal restrictions and qualification requirements on who carries out these treatments, and the absence of accredited training academies. They state only GMC registered practitioners may administer permanent fillers- which are a medical device and don’t need prescription. Botox should only be prescribed by doctors, dentists, nurses and nurse prescribers and pharmacists. At MATA Courses, we are set apart from other aesthetic training academies as our qualifications and courses are created around these guidelines, and with an emphasis on practical training with patient safety first. A recent investigation by BBC Wales has shown that the number of laser clinics being investigated for not being properly registered has risen sharply in the past few months. 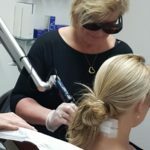 Healthcare Inspectorate Wales (HIW) is a body which checks out clinics providing laser or IPL (intense pulsed light) skin treatments and is also calling for the government to regulate mobile laser treatment providers which it has said it is looking into and a report is expected at the end of this month. 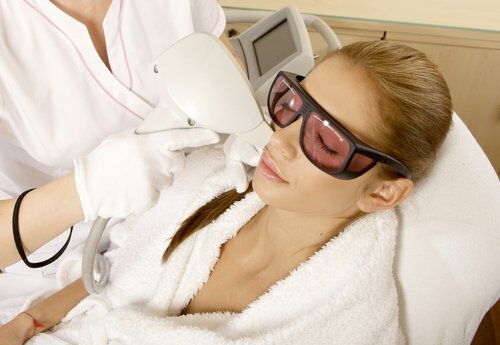 Lasers are used for hair removal, tattoo removal, skin rejuvenation and scar removal in aesthetic clinics and salons. HIW’s director Alun Jones states that there has been a 70% rise in the number of clinics which are registered since 2011 and they are becoming more aware of the providers which are not registered- which is a criminal offence. He is also calling for a national register for non-surgical and aesthetic treatment providers. MATA Courses Sister Clinic Juvea Aesthetics are Winners at MyFaceMyBody Awards 2015! MATA Courses were thrilled to be finalists at the My Face My Body Awards UK 2015 at the weekend, held in the stunning Intercontinental Hotel venue in London’s Park Lane! Even better, our sister clinic Juvea Aesthetics won the award for ‘Best Customer Experience’ on the night! The awards are brilliant way to give recognition to those who have excelled in the world of aesthetics, cosmetic surgery and dentistry and it was lovely to be part of such an event- also attended by television celebrities and with entertainment provided. We can’t wait to attend next year’s event!